Samsung Galaxy A7 (2016) is a formidable phone among the mid-premium smartphones. 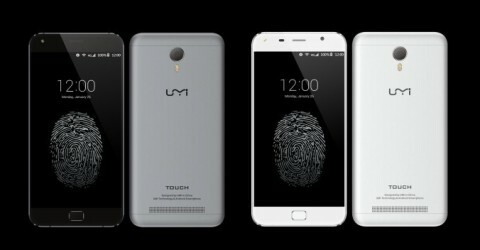 In March, UMI Touch was launched, and has, in theory, specs that can match those of the Samsung phone. Let’s have a UMI Touch vs Samsung Galaxy A7 (2016) battle, to see which phone is better! For this UMI Touch vs Samsung Galaxy A7 (2016) battle, we will first talk about the processing power of each phone and compare them. For UMI Touch specs, the phone houses a 1.3Ghz octa-core Mediatek MT6753 processor, accompanied by 3GB RAM. 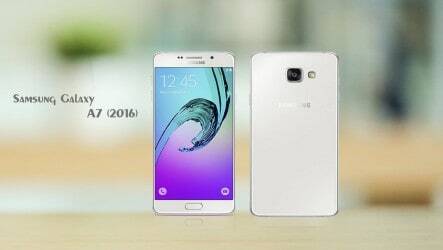 While Galaxy A7 also features 3GB RAM, it is powered by a 1.6Ghz octa-core Exynos 7580 processor. The Samsung chipset is one of the best in the market, and in this case, it is better than that of UMI. In terms of performance, Samsung Galaxy A7 wins over UMI Touch. Next, in the UMI Touch vs Samsung Galaxy A7 (2016) battle, we will talk about battery and camera. In the battery aspect, UMI Touch takes the win: it has a huge 4,000mAh battery which can last for days on idle. On the other hand, Galaxy A7 only has a 3,300mAh capacity. About the camera, UMI features a rear and front shooter combo of 13MP/5MP. Galaxy A7 also has the same camera specs, so both phones are about the same in that aspect. For the next part of UMI Touch vs Samsung Galaxy A7 (2016) battle, we will have a look at other notable features of each phone. Both phones have the same screen size and resolution: 5.5″ Full HD display. Both phones also have 16GB of storage. However, Galaxy A7 storage is extendable up to 256GB, while for UMI it’s only 64GB. Both also supports dual-sim. Last but not least, UMI phone comes with Android 6.0 installed, with the options to install other OS as well, including Windows Phone OS. Galaxy A7 comes with Android 5.1, but is upgradeable to 6.0.1. So if you want to try out other OS, UMI would be a fine choice. However, so far, Galaxy A7 is the better phone overall. Finally, in this UMI Touch vs Samsung Galaxy A7 (2016) battle, let’s talk about pricing. UMI Touch price is now at $141.99 (~RM575), while Samsung Galaxy A7 price is now $364.49 (~RM 1477). The UMI phone clearly has the advantage in terms of price. So, the choice is yours: if you’re happy with what UMI Touch offers, you just need to spend a small sum. If not, you can pay more to get an upgrade in terms of performance from Samsung Galaxy A7.